Celebrate International Translation Day with ProZ.com! « Translator T.O. International Translation Day is almost here, and it’s time to celebrate. ProZ.com will be kicking off the festivities on September 29th with its annual virtual conference series. This is a two day event, the first day being dedicated to CAT tools and software training. The sessions on September 30th will feature a wide variety of panels, discussions and workshops geared towards professional development, business management, and more. Atril Solutions and Déjà Vu – Everything you need to know! The New WordFinder Solution – The Best Dictionaries For Professional Users – The Words You Want. Anywhere, Anytime! Technical translation: is it really about terminology? Attendees will have access to on-demand content, special discounts and software savings, as well as a platform to chat live with event exhibitors. Those who attend on September 30th will also be eligible to use their certificate of attendance towards 10 ATA Continuing Education points. The event is free to attend, and those who are registered will be able to view all listings from agencies and LSPs that have recruitment needs. Did you know the virtual event series coincides with the announcement of this year’s winners of the ProZ.com Community Choice Awards? 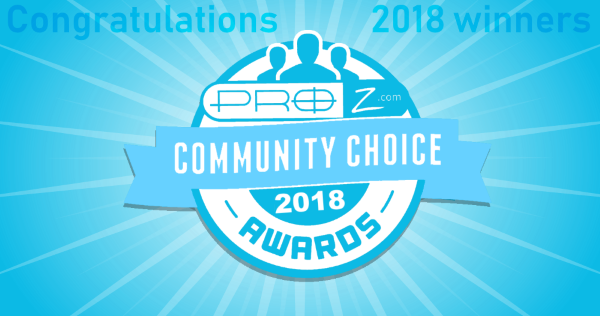 Keep an eye on http://www.proz.com/community-choice-awards to see who won! Don’t miss to join with CAT tools training, these are very important to learn for easy and fast translation.